Do you want to work in Spain in a golfing job? Spain is probably the best country in Europe to go play golf due to the fantastic weather and climate which ensures good playing conditions all the year round. Where to Get Spanish Golfing Jobs? The best area to look for work would be the Costa Del Sol which is located in the south of Spain and naturally it has the best weather. Between Malaga and Gibraltar alone, there are over 40 courses. Unfortunately if you only speak English and you do not speak Spanish you will be very limited in the type of golf jobs that you will be able to get in Spain. Your best bet is to find some sort of golf teaching to expatriates who also do not speak any Spanish. Popular expatriate areas in Spain include the Costa del Sol with major towns being Marbella, Puerto Banus, Malaga and Mijas. Popular Spanish islands include Mallorca, Ibiza and Tenerife. The Costa Blanca coast which includes Alicante would be an excellent choice if you are a golf pro or caddy. La Manga Golf Careers – Perhaps the most popular golf club in Spain for expatriates is that the La Manga golf club which is extremely international, attracting golfers from all over the world and especially the United Kingdom. In the summer La Manga golf employ over 1000 staff so the opportunities for working there are good. You won’t necessarily be involved directly in a golfing job, instead you are more likely to be part of the hotel and hospitality staff perhaps serving in the restaurant or bars. 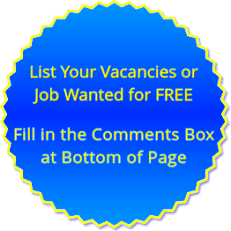 Employers – List your golf job vacancies such as golf pros, caddies and greenkeepers below for free. Hi my name is george and i would love to work on a golf course near sota grande or estepona i have no experience but love the game and want to move to spain i am a carpenter but looking for a change would be up for working in the club house or as a greenkeepers aprentice but any job would be great as i am moving to spain in a few weeks. Having lived in Spain for nearly 16 years and being employed for 14 years at the famous La Cala golf resort on Spains Costa Del Sol. I unfortunately find myself unemployed I am a EGTF Qualified teaching professional and worked as the Chief Marshall Golf operations (3courses teaching academy, hotel complex) with on average 15 people under my wing. For the two years before moving to Spain I was under contract to Yamaha Golf services. The job was to build,refurbish,repairs to electric, petrol,LPG golf buggies on a workshop and mobile basis. Servicing to keep buggies out on course was paramount. I am looking for work in my area and beyond. Let me help you keep your golf buggies earning. My name is Patrick Dawson. I left school and started greenkeeping straight away, I worked at a local course for 4.5 years full time learning all aspects of greenkeeping and throughout this period I completed my SVQ level 2. I also have experience in travelling to Sweden and Belgium with this line of work. I’m very passionate about my qualities and presentation in greenkeeping, its a job I love doing and I’m seeking a job somewhere in Europe to gain even more experience. Im hopeful to receive an opportunity and some feedback. My names Alan and I’m 36 years old. I’m from Ireland but living in la quinta, benahavis malaga. I’m a qualified greenkeeping with a European greenkeeping certificate. If anybody knows of any greenkeeping jobs available on the Costa del sol please let me know. My name is Stéphane Chapel. I’m a PGA professional for 25 years working in Belgium,I speak five languages and looking for a job as professional or director of golf in the Marbella area. we have our own place in Mijas. Lost of experience in coaching all levels and juniorcoaching. Would love to move to Spain. PGA degree obtained in GB at The Belfry national education academy.